On February 4, 2013 Jonathan Fanton, interim director of the Roosevelt House Public Policy Institute, introduced Michael Copps, head of the Media and Democracy Reform Initiative at Common Cause. Mr. Copps sat down with Professor Andrew Lund of CUNY Hunter College for a discussion about media ownership, the FCC, and efforts to promote diversity of thought within the television, radio, and newspaper industries. For further information on Common Cause, click here. For additional information on The Roosevelt House, click here. Good evening, I am Jonathan Fanton, Interim Director of Roosevelt House and it is my pleasure to welcome you to a conversation with Michael Copps, former Chair of the Federal Communications Commission. He now heads the Media and Democracy Reform Initiative at Common Cause. Joining the conversation will be Hunter Professor Andrew Lund. We gather in the homes of Eleanor and Franklin Roosevelt and Franklin’s mother, Sara. Sara built these twin townhouses and gave one to Franklin and Eleanor as a wedding gift in 1908. The New Deal was shaped in these houses, Cabinet secretaries like Frances Perkins recruited here, commitments made to programs like Social Security. The houses came to Hunter in 1942 after Sara Roosevelt’s death, made possible by an initial gift from Franklin and Eleanor that enabled Hunter to purchase them from the estate. The houses were an interfaith and student center until 1992 when they closed in disrepair. Thanks to the vision and determination of Hunter President Jennifer Raab, the Roosevelt Houses were renovated three years ago and now host Hunter’s Roosevelt House Public Policy Institute. The Institute offers two undergraduate programs, one in Public Policy and the other in Human Rights and International Justice. It also supports faculty policy research. And it offers a robust public program of lectures, conferences and discussions of important domestic and international issues. Franklin and Eleanor would be pleased that we are meeting in their home tonight to talk about the perils that media consolidation pose to our democracy. I think President Roosevelt would be concerned about current FCC proposals which aim to loosen restrictions on cross-ownership of television, radio, and newspapers. Michael Copps has vigorously explored the over concentration of media ownership, the influence of money in politics, the failure of the FCC to protect the public interest, the dangers of the cable-i-zation of the internet. And he chronicles the results of these trends: less investigative journalism, vanishing local news, more opinions less evidence available to inform the public’s choices on people and policy. Michael Copps has been a creative and courageous advocate of media reform. He will share his ideas with us, for example: requiring broadcast companies to be re-licensed more frequently and be challenged to explain how their presentation of the news serves the public interest. And no doubt we will talk about the negative consequences of the Citizens United decision. 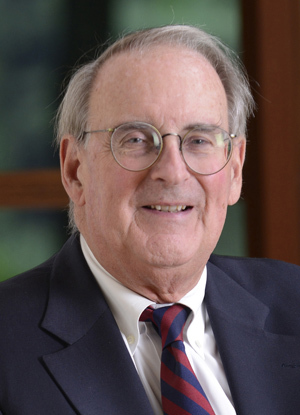 Michael Copps holds a PhD in history from the University of North Carolina, began his career teaching history at Loyola University in New Orleans, served as Chief of Staff to Senator Ernest Hollings for over a decade, was appointed Assistant Secretary for Trade Development at the Department of Commerce by President Clinton and served on the FCC from 2001 to 2009. It is also my pleasure to introduce our moderator, Professor Andrew Lund. Professor Lund is Director of the Integrated Media Arts MFA Program at Hunter College and a faculty associate at Roosevelt House. He received his B.A., M.F.A., and J.D. from Columbia University, where he also has taught graduate classes. He has won several filmmaking awards including, most recently, one for narrative filmmaking at the 2011 University Film and Video Association Conference and also top producing honors at the 2011 Brooklyn International Film Festival. Professor Lund is the producer of nine feature films. His work has been praised by noted film critic Roger Ebert and he has published important essays and articles on filmmaking and is in the process of publishing books on the art of the short film and the journey from short to feature film. Michael Copps will open our program with a talk on Reforming Media, Democracy’s #1 Challenge, then join in conversation with Professor Lund followed by questions and comments from the audience. Ladies and Gentlemen, Michael Copps.